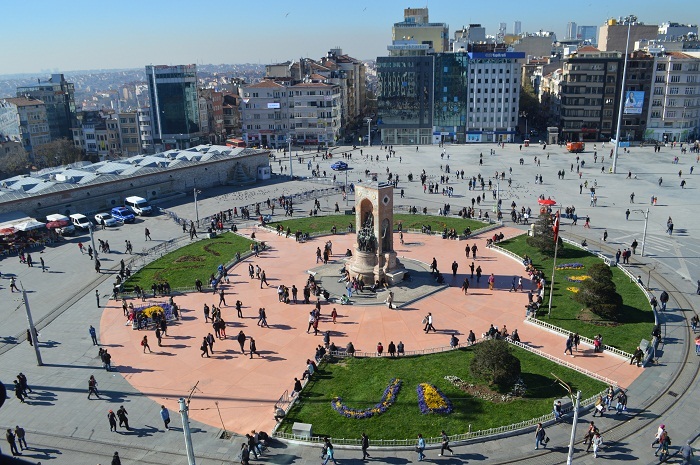 Taksim Square is situated in the European part of Istanbul and is a major tourist and leisure district famed for its restaurants, cafes, nightlife, shops, and hotels. 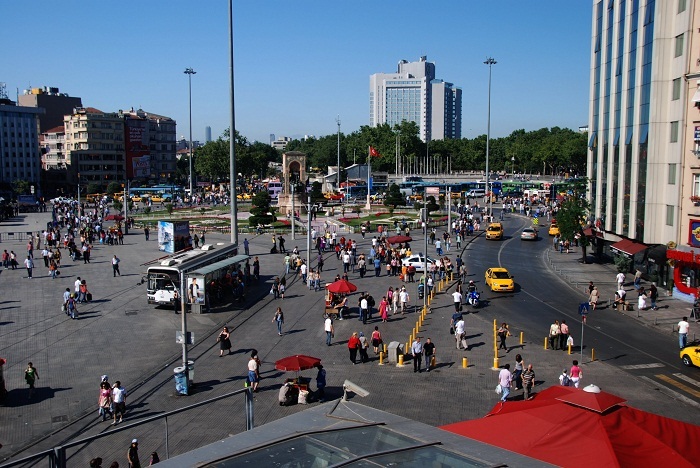 It is considered the heart of modern Istanbul, with the central station of the Istanbul Metro network. 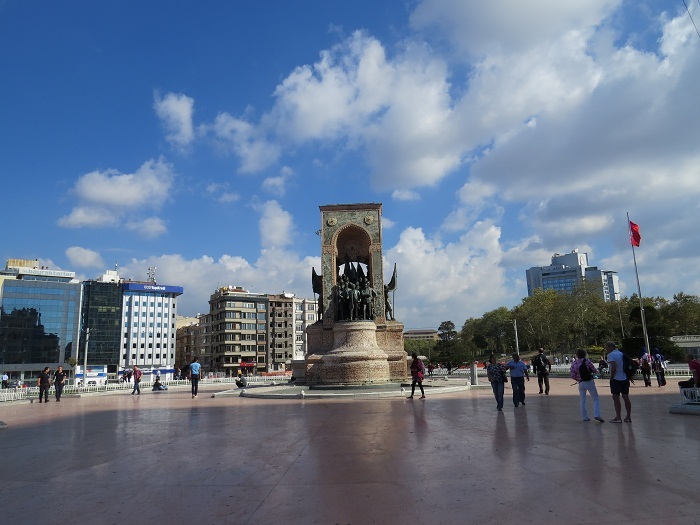 Taksim Square is also the location of the Monument of the Republic which was crafted by the famous Italian sculptor Pietro Canonica and inaugurated in 1928. 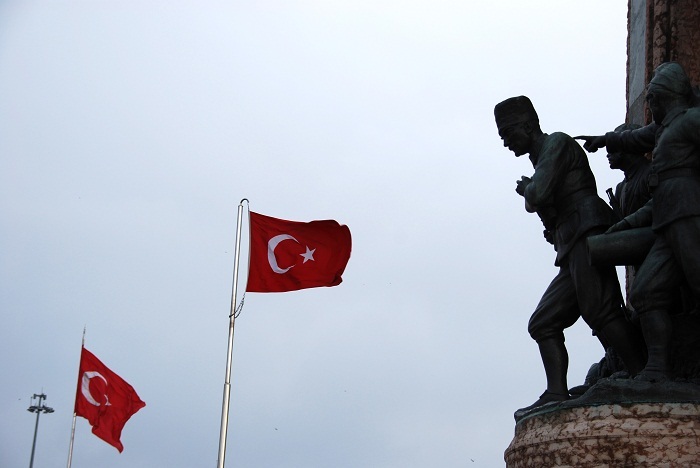 The monument commemorates the 5th anniversary of the foundation of the Republic of Turkey in 1923, following the Turkish War of Independence. 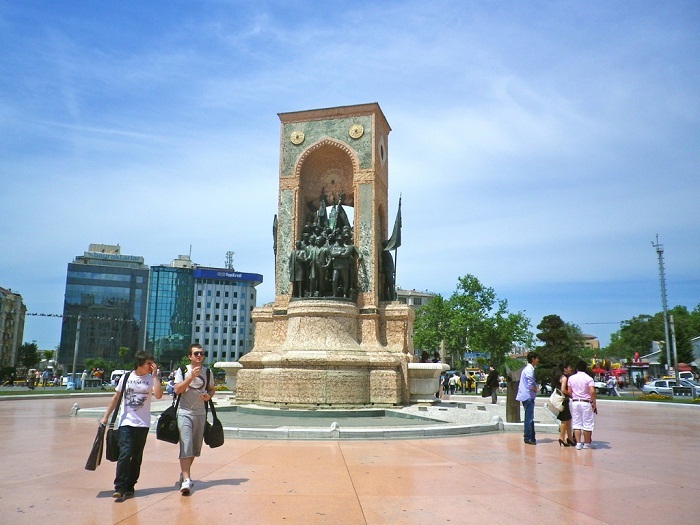 Taksim is a main transportation hub and a popular destination for both tourists and the native population of Istanbul. 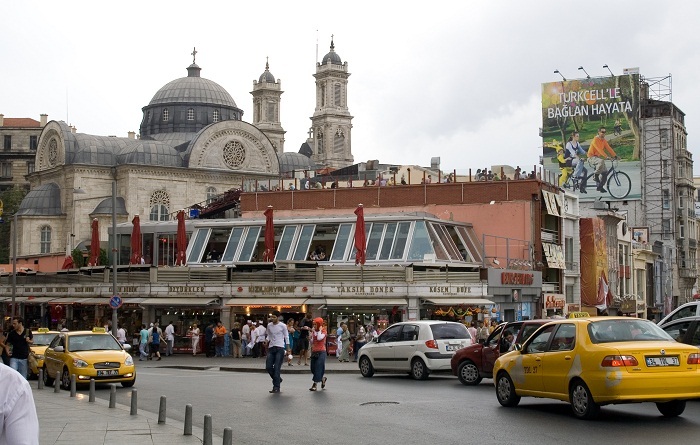 “Istiklal Street”, a long pedestrian shopping street, ends at this square, and a nostalgic tram runs from the square along the avenue, ending near the Tünel (1875) which is the world’s second-oldest subway line after London’s Underground (1863). 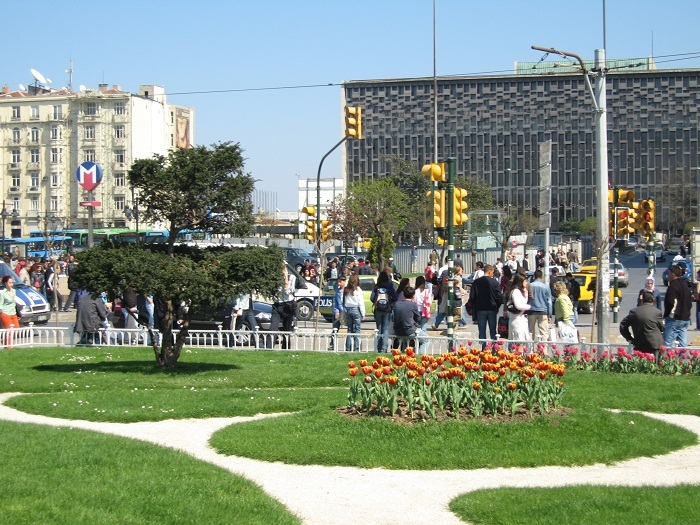 Taksim is also a favourite location for public events such as parades, New Year celebrations, or other social gatherings. 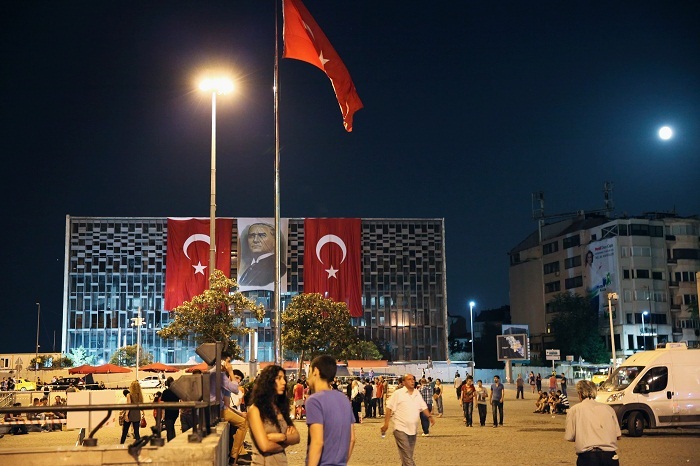 Atatürk Cultural Center, a multi-purpose cultural center and opera house, is also located at Taksim Square. 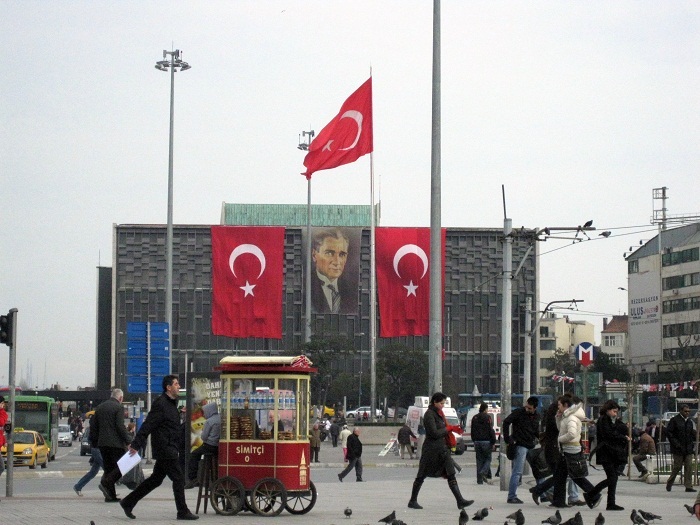 The word Taksim means “division” or “distribution”. 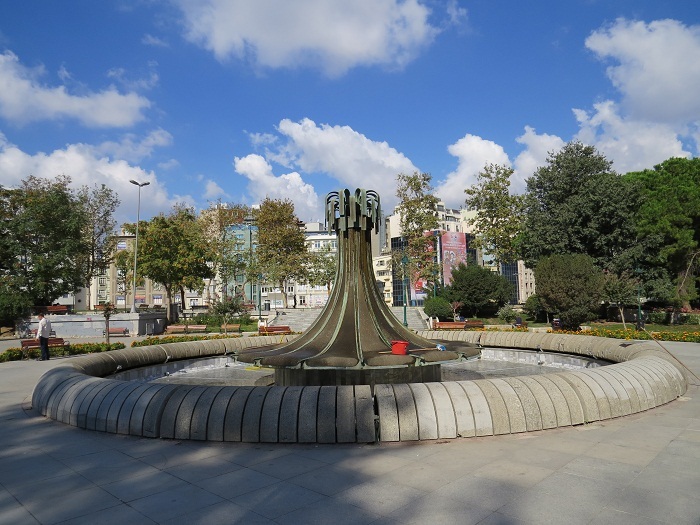 The Taksim square was originally the point where the main water lines from the north of Istanbul were collected and branched off to other parts of the city (hence the name.) This use for the area was established by Sultan Mahmud I. 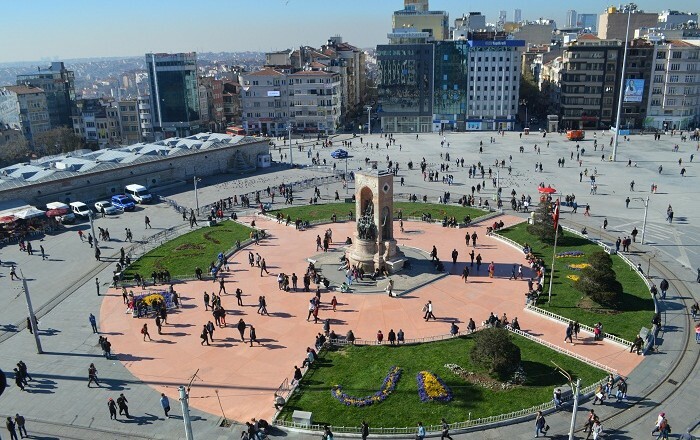 The square takes its name from the Ottoman era stone reservoir which is located in this area. Another significant building that once stood on the square was the 19th century Taksim Artillery Barracks, but it was demolished in 1940 during the construction works of the Taksim Park.